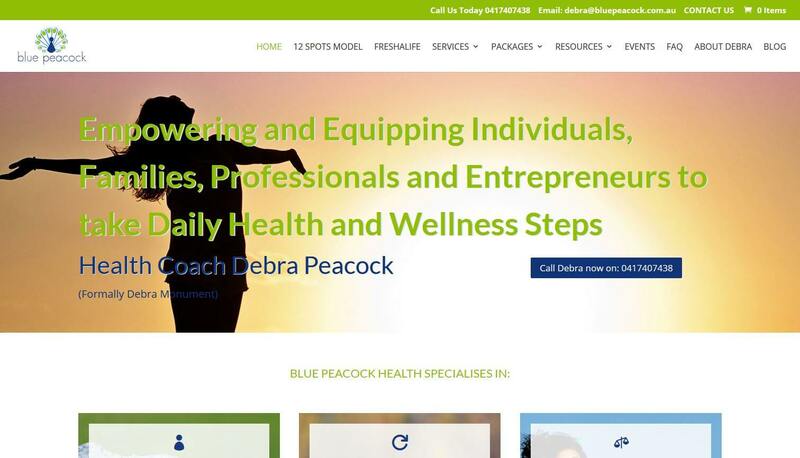 Health Coach Debra Peacock – Empowering and Equipping Individuals, Families, Professionals and Entrepreneurs to take Daily Health and Wellness Steps. Debra already had a website and needed it revamped and rebuilt to speed it up and work on the SEO, search engine optimisation. She now has a much lighter website, with a shop system, Woocommerce, selling resources and user friendly. Visit Blue Peacock website to see how Woocommerce can be used when no images are displayed for the products. Debra offers her services all over Australia, so it might be something of interest to you!